Located on the French Riviera in southeastern France, Cannes is best known as host of the world famous Cannes Film Festival. Every May, Cannes is flooded with celebrities and movies stars as they walk the red carpet to attend the international film market. Booking a hotel room during the festival season may be hard to do, but if you allow us to compare prices, we guarantee to find you the best deals out there. However, you don’t have to wait until May to travel to Cannes. No matter what time of the year you visit, this charming seaside city offers plenty to see and do. Set upon a hill is the city’s historic old quarter, known as Le Suquet. A must-do is explore the winding, cobblestone lanes to see 400-year old structures like beautiful churches, fortified towers and the old clock tower. There are plenty of shops and daily markets here to check out as well as quaint cafes and gourmet restaurants. The Palais des Festivals is the impressive building complex where the Cannes Film Festival takes place every year. This remarkable venue is the scene where famous celebrities arrive upon the red carpet to be photographed. Within the building, thousands of films are screened during the festival and major movie contracts are negotiated. You may like to do as many tourists do and have your photograph taken while standing on the steps of the Palais des Festivals. Lined with palm trees, luxury hotel accommodations and boutique shops, La Croisette is the city’s scenic promenade. You can stroll along this waterfront avenue to browse shops, dine and enjoy beautiful views of the sea and beaches. Nearby is the city’s bustling port where you can see the fancy yachts of many rich and famous people. Many of the city’s beaches are privately owned and require an entrance fee. You may choose to pay to enjoy one of these stunning beaches, or you may prefer to visit one of the public beaches, which are further outside of Cannes. At night, the beaches are sometimes lit up with firework displays. Just a short ferry ride away are the Lérins Islands, two small islands that are well worth a visit. The smaller of the islands is St. Honorat, home to an 11th century monastery that you can tour. The monastery is still inhabited by Cistercian monks who produce food and wines that you can purchase on site. St. Marguerite is the larger island, boasting a castle, restaurants, shops and bars. Displaying relics retrieved from shipwrecks, the Museum of the Sea is located here in the former prison where the “Man in the Iron Mask” was incarcerated for several years. St. Marguerite is also an ideal place to swim, snorkel and dive. You can learn all about the history and culture of the local region at the Muséed’Art et d’Histoire de Provence through its collection of antique furniture, traditional costumes, paintings, pottery and more. The Musée de la Castre displays artifacts from all over the world. Other museums include the Museum of Photography, the International Museum of Perfume and the Maritime Museum. 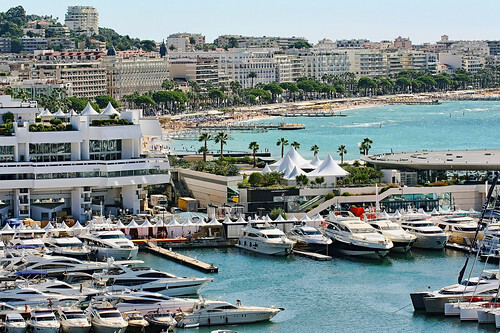 Cannes has a Mediterranean climate with long, hot summers and brief, cool winters. Low rainfall is dispersed throughout the year. Don’t miss out on a bargain. There are great hotel deals for Cannes available online now.